There's something I'd like to let you know about, here on Life with Lynnie (LwL). As you know, I already wrote an entry here on LwL, regarding how our Canadian Prime Minister, Justin Trudeau changed our law, regarding marijuana/cannabis. If you hadn't read that entry, click on this link, so you can read it: http://www.lifewithlynnie.com/2018/10/marijuanacannabis-is-legal.html. After I posted that article, a couple people I know weren't happy that I felt the way I did. They seemed to think I was silly, thinking that people who are happy to use marijuana/cannabis to get high, could end up driving and become dangerous to everyone on the road. In fact, one of the people seemed angry with me. And, put me down. Even so, we got together with some other people, later that month. I let everyone know that I had driven from where I live, here in Windsor, Ontario, Canada, to Toronto. And, I let those people know that on Hwy. #401, near and in the Toronto area, I saw signs on the hwy. The signs said, DON'T DRIVE HIGH... and showed a picture of marijuana, with car keys. The people that heard me say this, didn't believe that was true. But, it was. Unfortunately, because I was driving, and because it was raining, I didn't get to take a picture of what I saw. However, I was able to find a pic online, so I'll share it with you. Amazing! Where this pic was located, I have no idea. But, as I said, I saw a lot of signs showing the same information. However, this pic was also included on an article by thestar.com that was entitled, Don't drive high, Ontario highway signs urge motorists: https://www.thestar.com/news/gta/2017/04/23/dont-drive-high-highway-signs-tell-drivers-in-ontario.html. Are you shocked that I didn't share some of what that article stated? I didn't feel I needed to. But, there is a reason I decided to give you the link. Sigh... If you read that article, you'll realize that the article was actually published Sun April 23, 2017. Why do you think this was done back then? I believe it was done, because so many people who have in the past illegally used marijuana/cannabis and got high, must have been doing that even back then. After all, they probably didn't think they'd get arrested for smoking up, etc., since Justin Trudeau was going to make it legal. So, our Ontario government obviously has had to pay a lot of money, to have signs similar to what I showed you, on Hwy. #401, and possibly other highways. In the past, I've stated that I believe that Justin Trudeau hates Canada... and does things to hurt Canada... and Canadians. Why? Because, in the past, he helped the province of Quebec to try and separate from Canada. Hmmm... Talk about someone who causes damage to Canada. At least, that's how I feel. Thinking of this, made me think of Proverbs 19:5, "A false witness shall not be unpunished, and he that speaketh lies shall not escape.". Amen! A false witness shall not be unpunished, and he that speaketh lies shall not escape. As I've already said, I believe that Justin Trudeau is basically a false witness for Canada. After all, I believe he speaks lies and does things to hurt Canada... and fellow Canadians. So, hopefully, God will punish him, unless he gains salvation by trusting in/believing upon our Lord, Jesus Christ... for then, Justin Trudeau will also want to correct problems he created, within Canada. After all, Canadians are paying income tax to the government, and Justin Trudeau has made Canada spend money to educate people as what was stated earlier on this blog entry. To me, this means our country is losing income, and will be hurt even more, now that Justin Trudeau created druggies to be able to use marijuana/cannabis and hurt others, while being high. 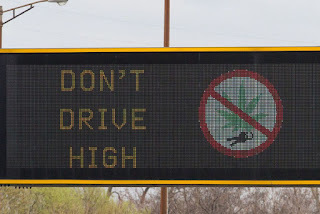 Plus, it is possible that many accidents will be done by people who like to drive, even though they shouldn't, if they've used marijuana/cannabis. Please... pray for Canada, and for all of us Canadians. Please... pray for people who are not drug users, for they can be hurt by those who are drug users. Please... pray for all drug users, so that they can feel they need to stop getting high.